An exciting year comes to an end. On 27 November 2017 the annual Arb|Aut Meeting was held in Vienna. We are glad that this proposal was accepted unanimously and welcome Anne-Karin Grill to the board. Arb|Aut is proud to have contributed to the 1st GAR live Vienna. The conference became a great success – both in terms of the high quality of the discussions and the number of participants. The photos of the event which are now available online give a glimpse of lively debates and heated exchanges that took place on the day. More detailed reports can be found on the GAR website. The GAR Live Vienna Conference was made possible thanks to the strong support of the arbitration community and the joint efforts of GAR and the three co-chairs, Eliane Fischer, Alice Fremuth-Wolf and Stefan Riegler. The bar was set very high but we are confident that we can meet or even exceed it next year. On 30 October 2017 the 5th Arb|Aut Forum took place at the University of Vienna. Florian Haugeneder chaired a Tylney Hall style discussion. The dean of the Faculty of Law of the University of Vienna, Prof. Paul Oberhammer, Eliane Fischer, Anne-Karin Grill, Philipp A. Peters and Markus Schifferl addressed questions submitted by the audience in a lively discussion. Visit our Gallery for pictures of this event. Arb|Aut is glad to announce that the cooperation with the University of Vienna regarding this successful format will continue in 2018. Arb|Aut proudly participated in the 2017 Seoul ADR Festival held in November. Arb|Aut hosted a panel discussion on international arbitration over a traditional Viennese Breakfast in cooperation with KCAB and VIAC. Two panels addressed the (perceived) tension between due process and efficiency and questions concerning the choice of party appointed arbitrators. Apart from the lively and engaging debate, the participants also enjoyed an Austrian breakfast and original Sacher cakes brought from Vienna. Photos of the successful event can be found in our Gallery. Arb|Aut and KCAB agreed to continue the fruitful cooperation and are already planning for an event in Vienna next year. 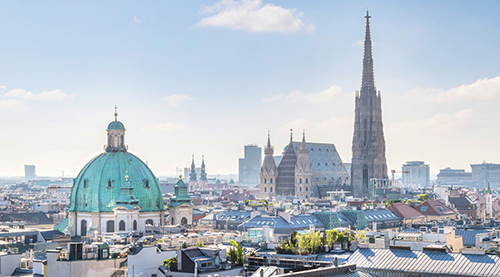 The program for the Vienna Arbitration Days 2018 which will take place on Friday, 19 January 2018 and Saturday, 20 January 2018 has been finalized. The keynote speech will be delivered by Maxi Scherer on ”International Arbitration 3.0 – How Artificial Intelligence Will Change Dispute Resolution”. Please keep in mind that the Vienna Arbitration Days which are traditionally linked to one of the large Viennese balls will take place earlier than in the last years. Thus, also the already extended deadline for the early bird rates will expire on 15 December 2017. While there is still one more week to benefit from the reduced rates, please keep in mind that seats for the conference dinner and ball tickets are allocated on a first come, first serve basis. Only a very limited number of seats for the conference dinner and ball tickets are still available. If you wish to attend you may register online on the website of the Vienna Arbitration Days. We hope to see in Vienna in January 2018.